The iPhone's strong holiday sales helped two of Apple's biggest supply chain partners— Taiwan Semiconductor Manufacturing Co. and Hon Hai Precision Industry— post record monthly revenues in December, according to the companies' regulatory filings with the Taiwan Stock Exchange. TSMC announced December revenues of NT$69.51 billion ($2.17 bllion), while Hon Hai— colloquially known as Foxconn— brought in NT$515.57 billion ($16.24 billion) over the same period. That represents a nearly 40 percent year-over-year increase for TSMC and a more modest 5 percent bump for Foxconn. Both firms are significantly invested in Apple's iPhone line and benefitted from blockbuster holiday sales of the popular handsets. One analysis suggests that Apple may have sold as many as 69 million iPhones in the December quarter, a year-over-year sales jump of more than 18 million units. This despite serious constraints on iPhone 6 supply that lasted through Christmas. 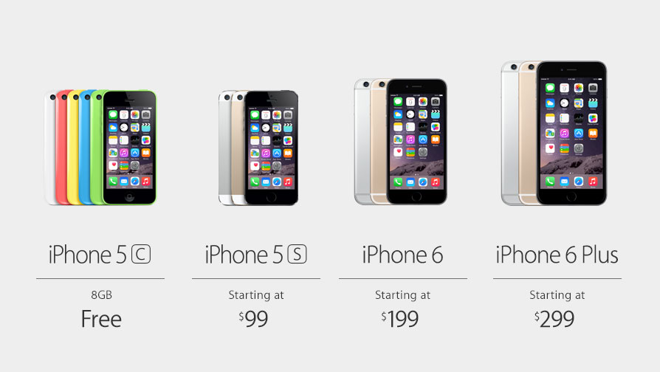 Apple retail outlets in the U.S. only began listing the devices as 'in stock' with no lead time last week. Though TSMC has won smaller Apple orders in the past, 2014 marked the first year in which the Taiwanese company was chosen to fabricate Apple's A-series application processors. The latest A8 chip sits at the heart of the iPhone 6 and iPhone 6 Plus, while the iPad Air 2 boasts a slightly beefier A8X. Foxconn, meanwhile, has a hand in assembling nearly every SKU in Apple's product lineup. The company is believed to have as many as 500,000 workers dedicated to its iPhone lines alone, and is reportedly investing some $2.6 billion into a new display factory that will exclusively serve Apple's business.